Stretching from the USA in the south, to the Arctic Circle in the north, Canada is the ultimate destination for a ski holiday. 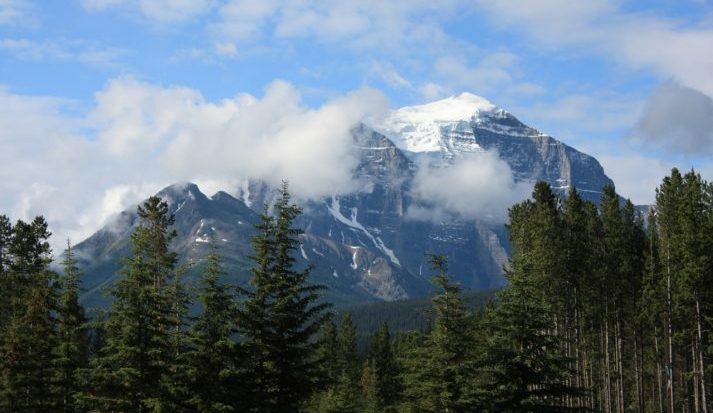 Combining vast areas of wilderness with bustling cosmopolitan cities, Canada offers huge variety with one of the most reliable snowfalls in the world. Snow is one of the main considerations for a winter ski holiday. The last thing you want to worry about after booking a ski holiday is if there is going to be enough snow to enjoy the slopes. 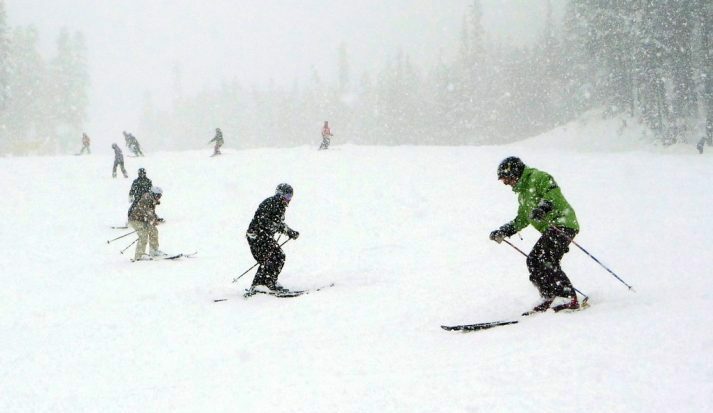 A nation renowned for its snow, Canada offers quality and reliability. Unlike some European resorts, Canada rarely has a poor snow year and Canmore received nearly 2 feet of snow in April 2017 alone! With a season spanning from mid-November to the end of May (even later if you count glacier skiing), there is plenty of time to take advantage of these snow-sure slopes. It’s never fun to spend half of your ski holiday waiting in long lines, only to then feel rushed when you do finally make it onto the slopes. If you want to spend your ski holiday skiing, then Canada is the destination for you. The world’s second largest country by total area, Canada’s ski resorts benefit from a lack of crowds. Even on busy days, resorts are never overcrowded or have long lines and it is easy to find a quiet space thanks to the massive acreage offered. 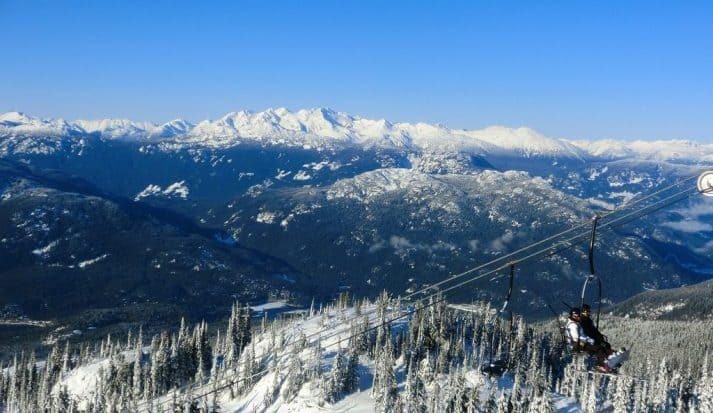 Whistler Blackcomb is North America’s largest ski resort and transfers from Vancouver Airport to Whistler Blackcomb take approximately 2 hours. Ski resorts in Canada provide outstanding service with a genuine smile. Apart from snow, Canada is also known for its friendliness and ski towns are filled with polite locals willing you to have a great time on your ski holiday. Providing the highest level of customer service with an infectious level of passion and enthusiasm, ski resorts in Canada provide exceptional service. If the incredible snow wasn’t enough of a reason to visit Canada for a ski holiday, the incredible facilities certainly are! With most resorts built-for-purpose, accommodation is of a great standard, with a lot being ski-in ski-out and on a larger scale than in Europe. The majority of villages are fully pedestrianised and there is a good range of restaurants catering for all tastes and budgets. Modern, fast lifts transport you to perfectly groomed slopes and off-piste is easily accessible, giving you more powder snow! Speaking of off-piste, unlike in Europe, everything inside the ski area boundary is patrolled and made safe by the resort. As long as the tree run or powder bowel is within the rope-marked boundary, you can ski wherever you want! Any mountain covered in snow makes for a spectacular backdrop, but the National Parks in Canada are truly breathtaking. The ski resorts blend perfectly with the astounding natural beauty and Elk and mountain goats are frequent visitors to Lake Louise. With some of the world’s largest dark sky preserves, lucky skiers might catch a glimpse of the Northern Lights in Banff, and a trip to the Banff Upper Hot Springs is a must! Although you might think of Canada as an expensive option, it couldn’t be further from the truth. When you consider the outstanding facilities and services offered, Canadian ski resorts offer incredible value for money. Early bird deals are often available until the middle of November and offers such as free rentals are common. In addition to the incredible, world-class facilities on offer, many ski resorts cater to every level, from complete beginners to experts, children to adults. 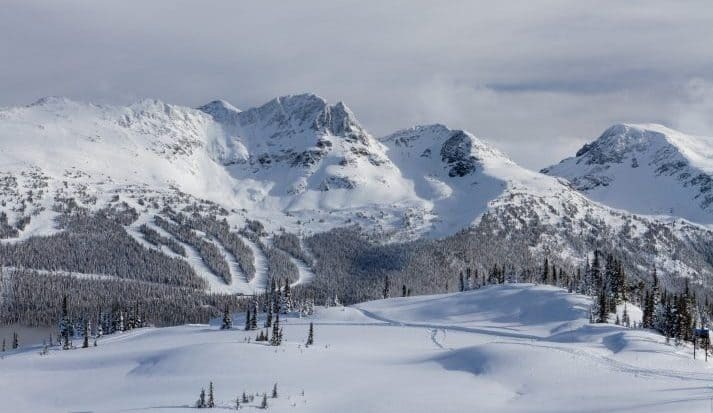 Those looking for an adrenaline rush will be pleased to know that British Colombia is one of the world’s best locations for adventure activities, with ski resorts such as Whistler Blackcomb offering amazing heli-skiing options. There are also plenty of things to do for non-skiers, with spas, shopping, hiking and other winter activities just some of the many things on offer. Whatever your ability, there is the perfect ski school for you. Canada has some of the best ski schools in the world and is an ideal place to learn or improve your skills on the snow. 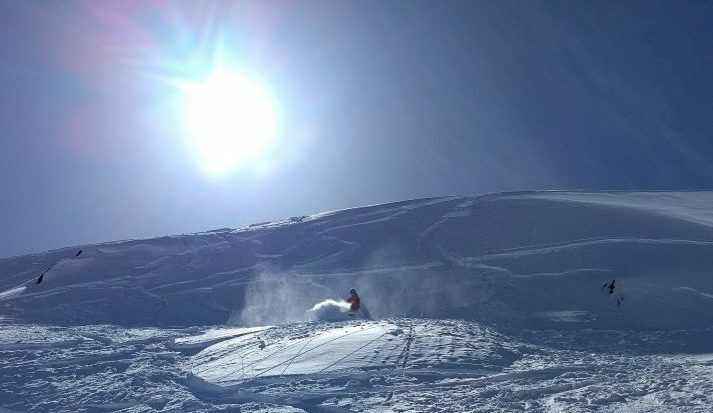 Benefit from small class sizes and instructors well trained in safety so you can truly take advantage of these incredible slopes. Although it’s nice to immerse yourself in other cultures whilst travelling for a ski holiday, sometimes it makes things a bit easier if you speak a common language. Whether it be learning how to ski for the first time, finding out the best secret spots or in emergency situations, speaking the native language makes communicating much easier. One of the biggest reasons for visiting Canada for a ski holiday is bluebird powder days. Thanks to their Inland location, resorts like Banff boast some of the highest numbers of bluebird powder days. By the time snow has crossed the coastal ranges, snow is dry and light, giving clear skies, feathery light powder and the ultimate ski experience. We hope this post has inspired you to have a ski holiday in Canada! Don’t forget, if you’re planning a ski holiday to Canada, make sure you get an instant quote for your airport transfer from Calgary Airport or Vancouver Airport to the ski resort.